If you choose the right outdoor blinds design for your backyard, you can add not just value but beauty to your property. When picking your outdoor blinds design, think about the function you want your blinds to serve, as well as the appearance you want them to have. 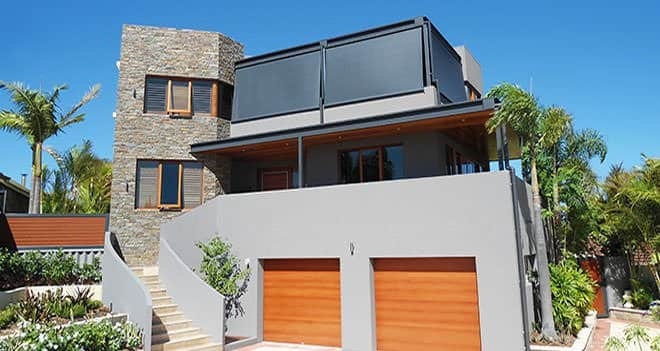 Shade blinds will really change the look of your house, so it’s important you pick a design that blends well with the architectural features of your home. If your home is rendered or painted in lighter tones, it could be better to go with a ceramic, sand, or classic cream-coloured shade blind. Outdoor blinds designed for your home. If, on the other hand, your home has darker architectural features, such as slate or grey concrete, darker-coloured blinds can be very effective. Darker coloured outdoor blinds are better if your home has darker features. Of course, contrast can often be captivating: try combining dove grey, jade or oak shade blinds with cream-coloured posts or walls. This effect works well on the image below since the shade blinds match the darker roof tiles. Combine darker outdoor blinds with lighter features of your home. 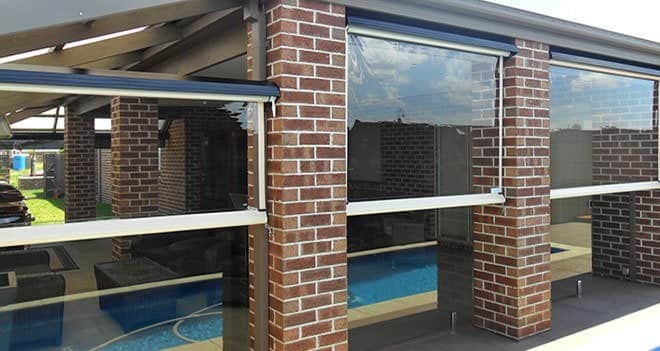 Shade blinds are the outdoor blinds design to pick if you’re looking for added shade and privacy in your backyard without having to compromise on your view. 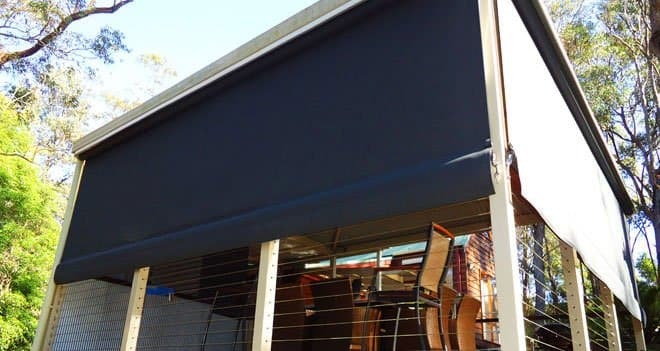 Café blinds add chic and elegance to a backyard porch, verandah or pergola design. It’s the entertainer’s outdoor blinds design of choice, offering a sophisticated look that mimics the most classy al fresco bars and restaurants. 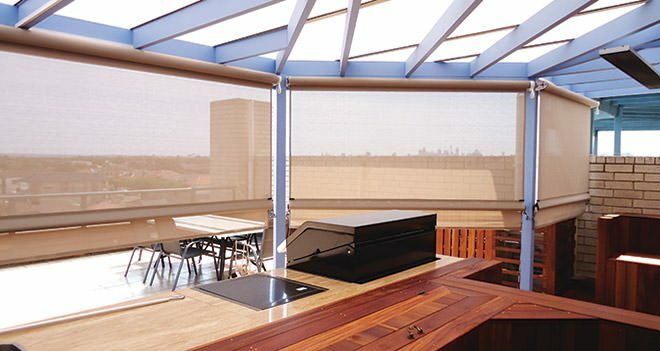 Café blinds come as clear or tinted to maximise your views while offering protection from the elements. These are the blinds to go for if you don’t want to compromise the architecture of your home; depending on the style and colour you choose café blinds can blend into the background as effectively as if they were never there. Outdoor cafe blinds add chic to your verandah or porch. Clear blinds are a great opportunity to compliment heavier architectural features, since they are not as bold as other outdoor blind alternatives. 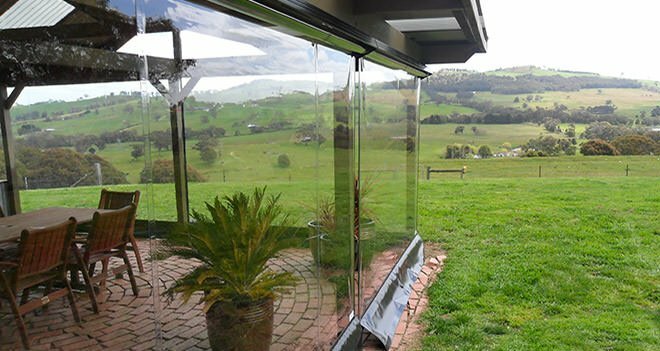 They are also a fantastic soft transition from the indoors to the outdoors, so you can be protected from the wind and rain while still able to appreciate the view. Clear outdoor blinds are a soft transition from indoors to outdoors. Sometimes you may have no view you want to protect – maybe the very view you overlook is one you want to hide. Opaque blinds are perfect for this. 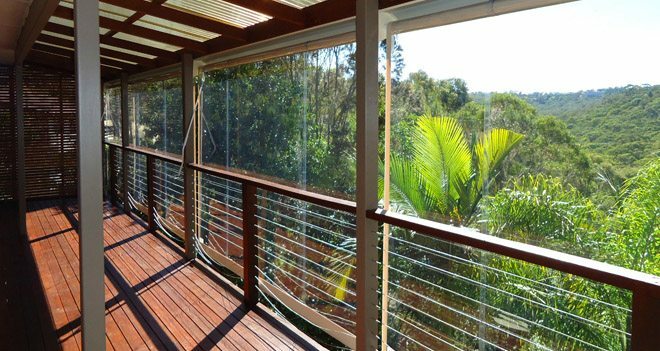 They close in your pergola or verandah to create an entirely new indoors room which can be opened to the light when needed. Since they are heavy in material, opaque blinds are great for those places where you only plan to pull the blinds down midway to cover the upper half of your view or to block the sun. 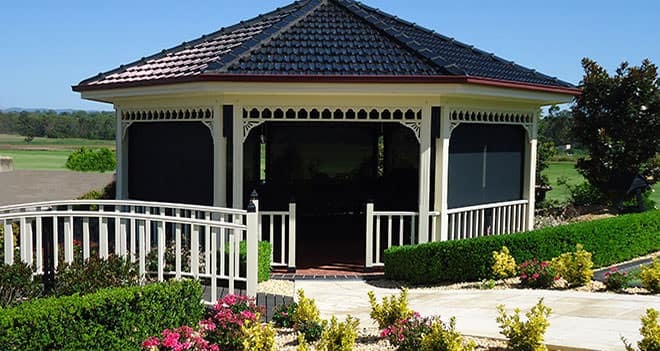 Verandahs or pergolas with fences or rails suit opaque blinds wonderfully. 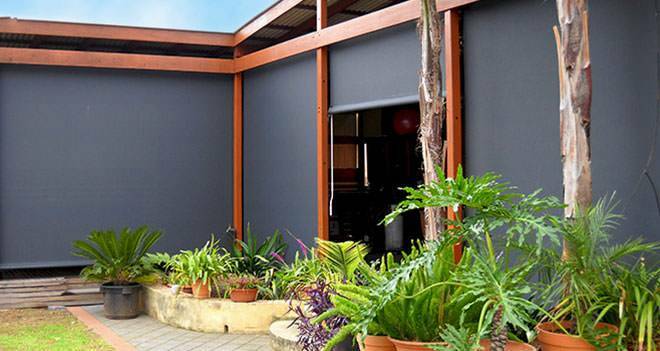 Opaque Outdoor blinds are perfect for turning your outdoor area into an indoor area. Ash grey or midnight opaque blinds look striking against lighter materials or wood. They also help foliage and other backyard features stand out more strongly. Outdoor blinds offer a refreshing makeover to your backyard space. They help to create an indoor-outdoor room that is useable all year round, no matter the weather.